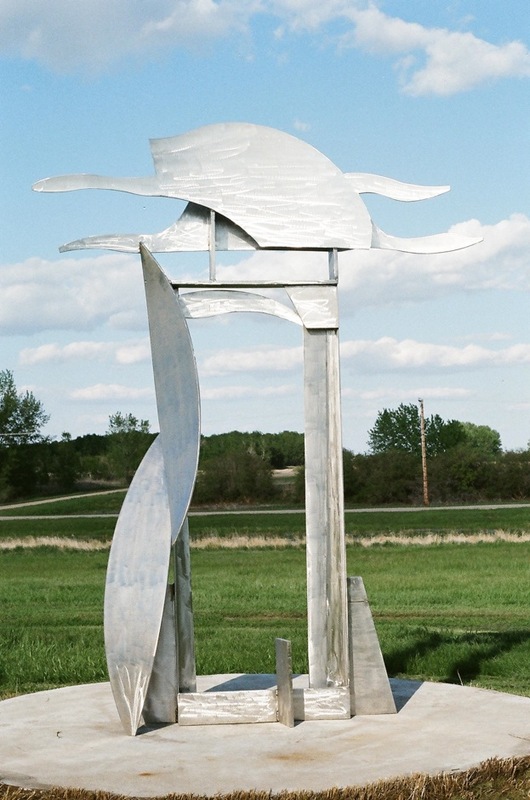 Leonardo’s Wind I, 2017, burnished stainless steel, 7.5 x 8.0 x 2.0 ft. Acquired by 13th Winery in St. Catherine’s, ON for their sculpture garden. 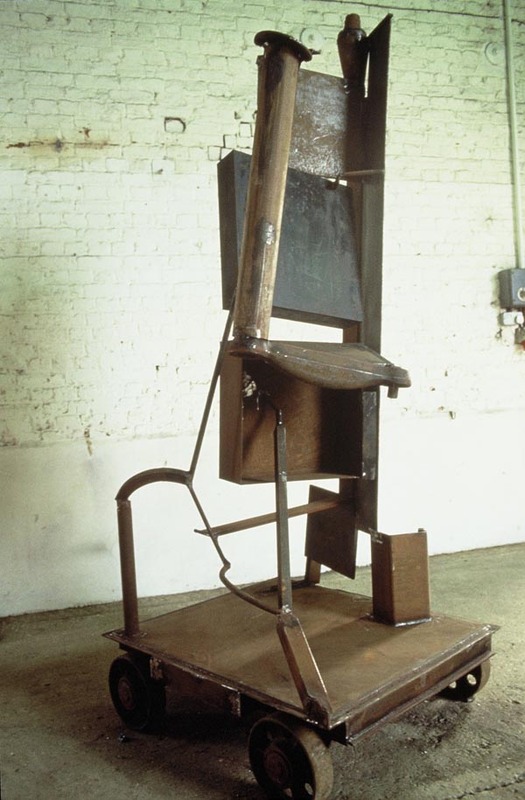 University of Western Ontario restores and relocates Untitled, winner of a national competition by Douglas Bentham in 1979. Originally conceived for, and installed in, the Student Centre Plaza. New large scale works in progress. Painted wood. 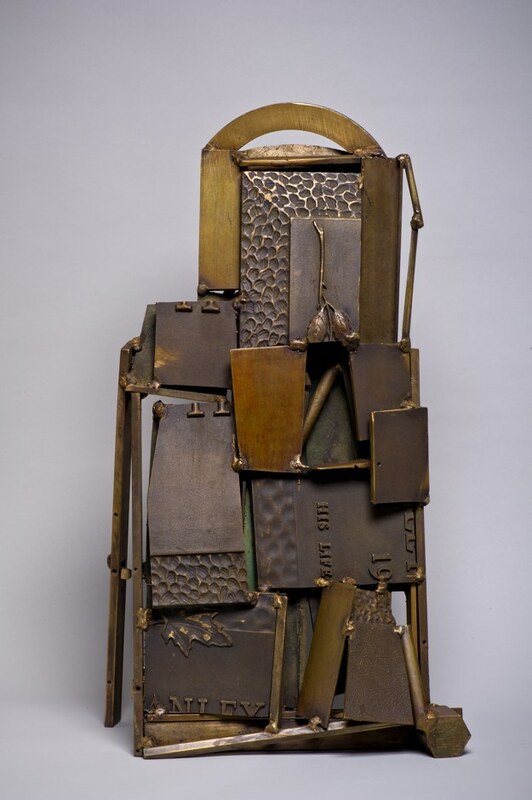 Nine Planes X Full Flight, steel – galvanized and painted, 14′ x 5′ x 3′. Installed at Fifteen15, Royal View Courtyard in Calgary, AB. 2016. 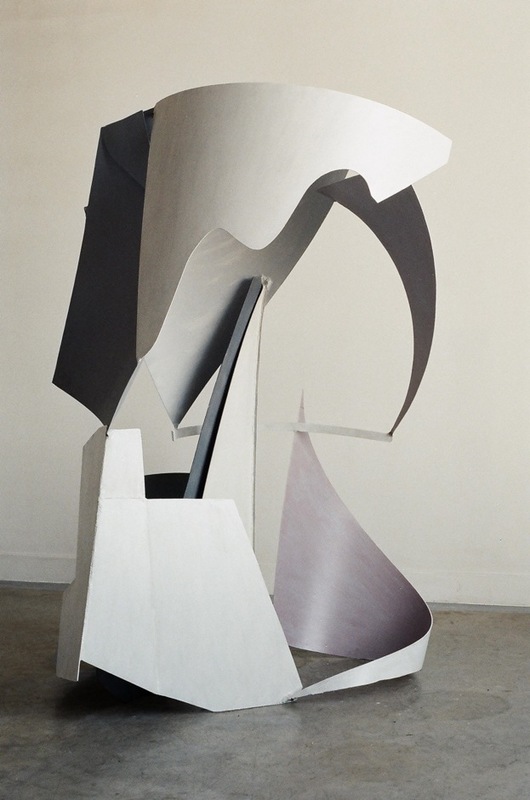 The sculpture draws its inspiration from the cursive marks of the skate blade on ice. Douglas Bentham offers the first sculpture in his new Rings series. A network of leaf-like elements in rich painted steel combine to create circular motifs on a large scale, reminiscent of wreaths and garlands. 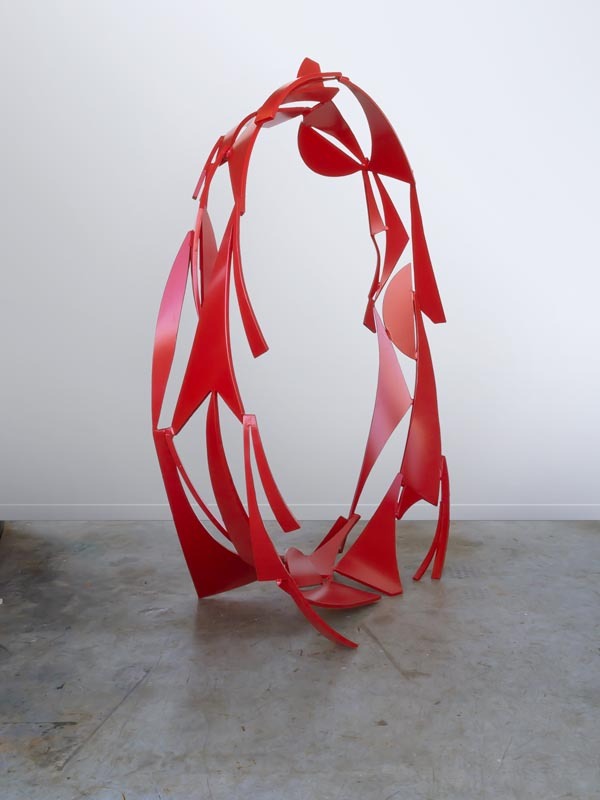 Acquired by Art in the Park, Altona, MB for their sculpture park. 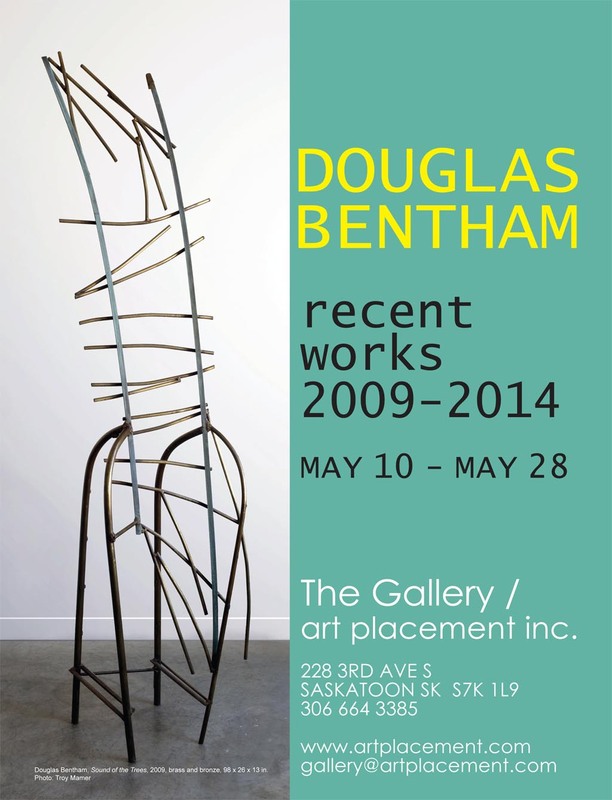 Douglas Bentham exhibits recent works in a solo exhibition at the Gallery/Art Placement in Saskatoon, SK, 10 to 28 May 2014. 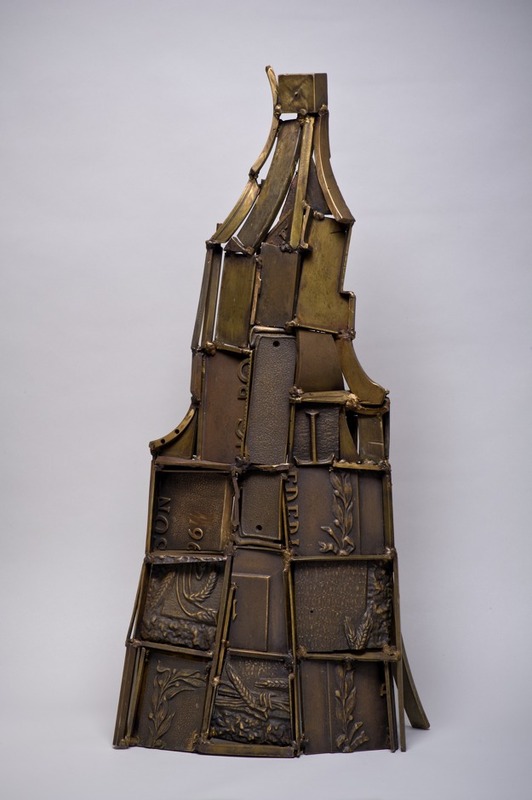 The exhibition features new small-scale works in brass and bronze, in addition to freestanding sculptures from three earlier series, After Robert Frost, Espaliers and Spanish Voices. 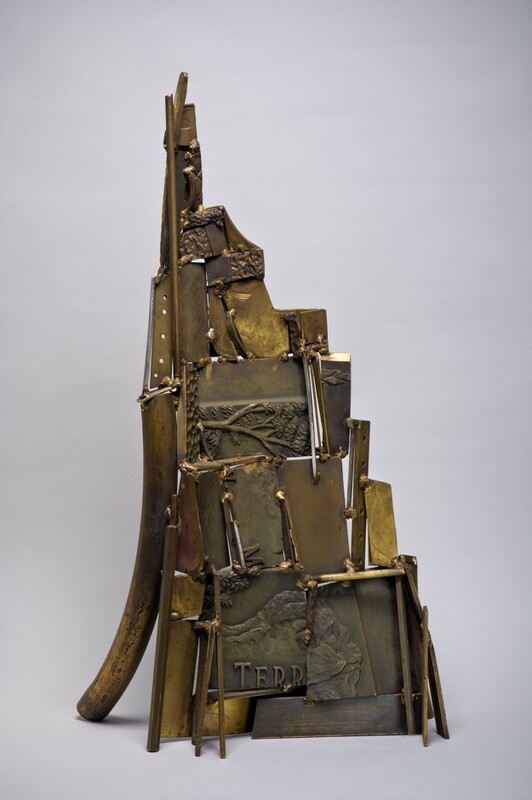 Douglas Bentham’s new exhibition The Hardingham Sculptures 1990 is presented at the Museum of Contemporary Art, Calgary, AB, 6 March to 13 April 2014. 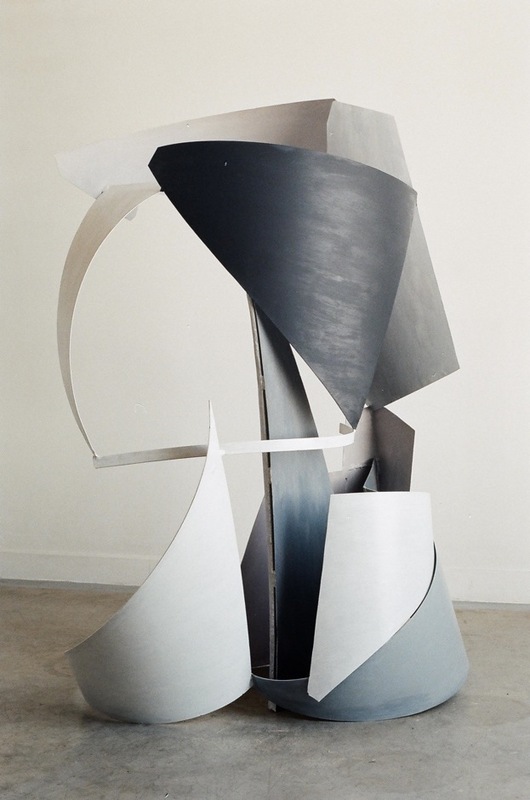 The six large-scale works in steel were produced over 12 days at the Hardingham Sculpture Workshop, Norfolk, UK, in 1990. 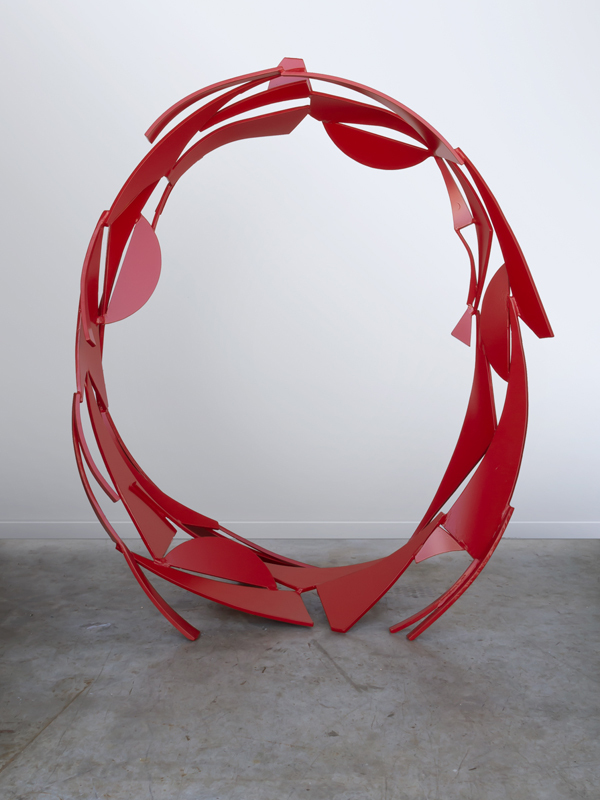 Prior to their return to Canada, the series was exhibited at the APT Gallery in London, UK, in 2007. 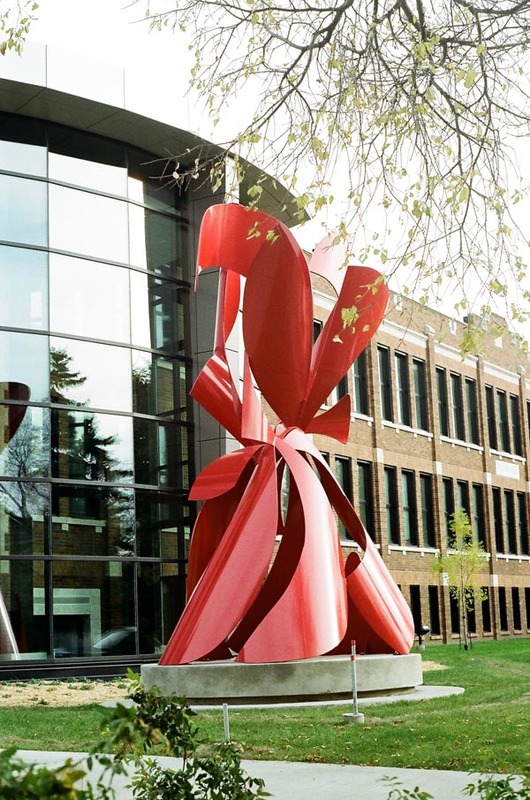 Douglas Bentham’s monumental sculpture Spirit has been recently installed at the Affinity Credit Union Campus in Saskatoon. The work graces the curtain wall of the atrium of this new architectural landmark, formerly a heritage building remembered as one of the original public schools in the city. 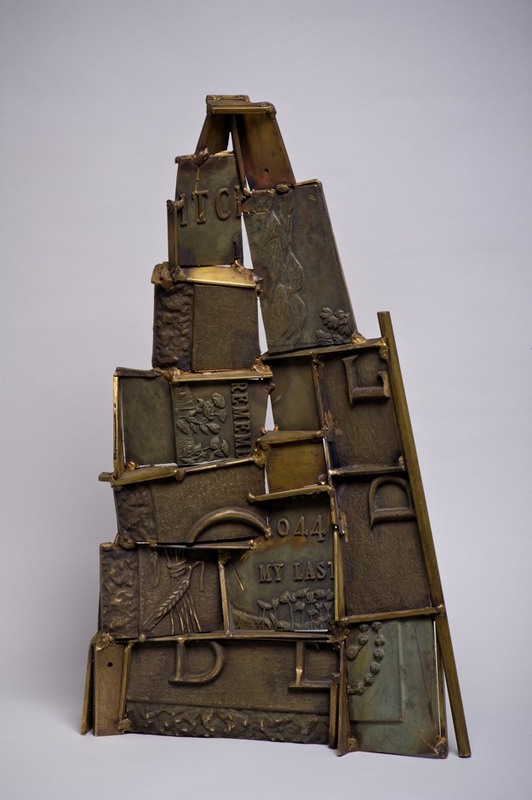 Saskatchewan Arts Board acquires four works from the Tablets series for its permanent collection. Northridge Developments in Saskatoon commissions Douglas Bentham to create and install an artwork for the entrance to their offices in the city’s northend. David Hart of Ravna House, a performance venue for classical piano in Snow Lake, MB, purchases a historic work from 1984. 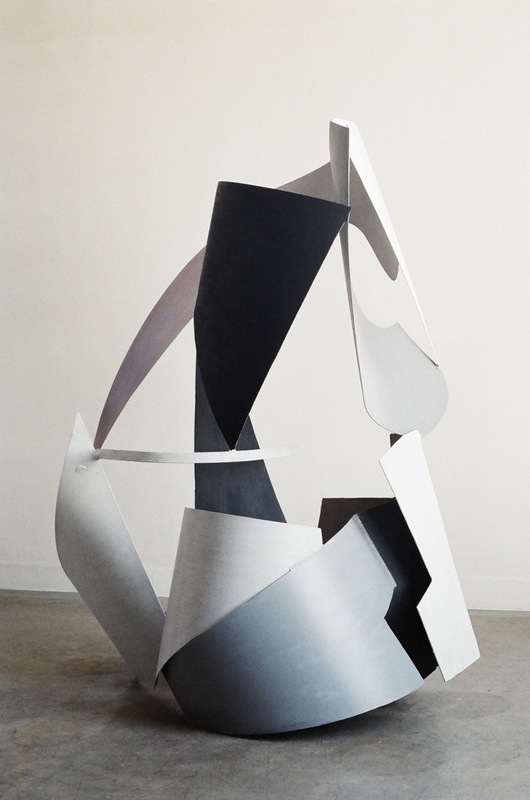 Saraband appears in the Canadian Encyclopaedia as an example of abstract sculpture.